5 x 5" 5.65 x 5.65"
The Schneider 5 x 5" HD Classic Soft 1/16 Filter can be applied to purposely reduce the appearance of blemishes and wrinkles in portraits or to apply a general soft-focus effect while maintaining overall sharpness. An array of small lenses distributed within the surface of this filter smooths fine lines and textures, which can be useful for creating a more flattering result of a subject. The small lenses within an HD Classic Soft filter are optimized for most high-resolution digital cameras and camera lenses. Their sizes, as well as the amount of space between them, allows those small lenses to effectively complement the degree of acutance and resulting sharpness typically produced by high-resolution digital still camera or cinematography systems. This filter has a grade of 1/16. 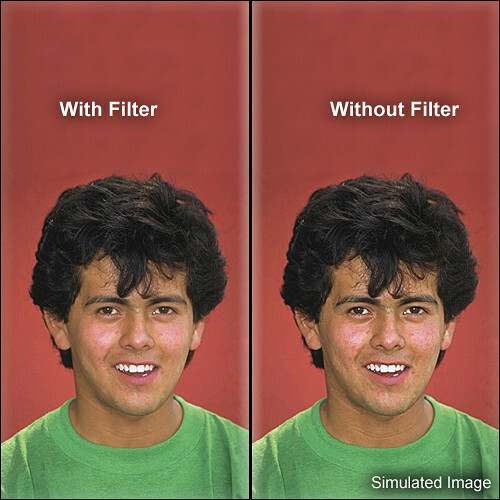 Grades of 1/8, 1/4, 1/2, and 1 are also available where this filter type's effect becomes approximately twice as strong with each grade number increase. As higher grade numbers are applied, a halation effect around highlights can be further accentuated to enhance a subject's appearance or produce a desired effect. The Schneider 5 x 5" HD Classic Soft 1/16 Filter is constructed from water white glass for clarity as well as color fidelity. It is compatible with filter holders that can accommodate 4mm-thick, 5 x 5" rectangular filters.